OMAHA, Neb. 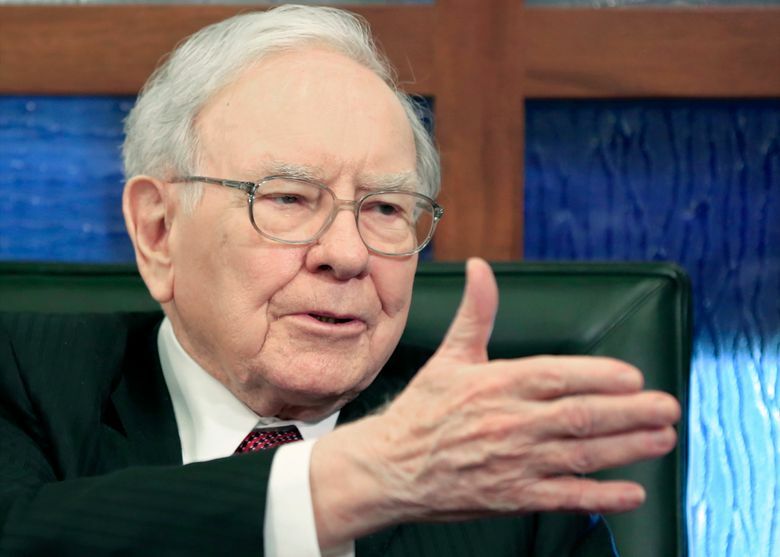 (AP) — Investor Warren Buffett again defended Berkshire Hathaway’s manufactured home unit Monday and praised some of his company’s biggest investments. Buffett discussed Clayton Homes’ lending practices, interest rates, Berkshire’s investments and other topics during an interview on CNBC Monday. Over the weekend, he answered questions in front of more than 40,000 people at Berkshire Hathaway’s annual meeting. Clayton’s lending was questioned last month in a story by The Seattle Times and The Center for Public Integrity. The story said Clayton appeared to be using predatory lending practices, and some buyers were pressured into loans that they couldn’t afford. Both the Seattle Times and the Center for Public Integrity said Saturday they stand behind their story even after Buffett’s defense at the meeting. Buffett said Clayton generally holds on to the loans it makes — unlike many mortgage lenders who resell their loans to investors — so when buyers default Clayton loses money. “We have no interest in putting anybody in a home they can’t afford,” he said. Buffett said he hasn’t received any complaints about Clayton in the past three years when 300,000 home loans were made, but he couldn’t discuss specific cases the article mentioned. When it comes to interest rates, Buffett said he’s not an expert in predicting them, but he thinks the Federal Reserve will have a hard time raising interest rates significantly while Europe continues to struggle. Raising U.S. rates now while Europe’s rates stay low, Buffett says, would make the dollar even stronger and hurt U.S. exports. “Interest rates push behavior. And we are not immune to what is going on in a market as big as the Euro market,” Buffett said. Berkshire Vice Chairman Charlie Munger said he thinks the country would be better served by large government investments in infrastructure instead of relying so much on monetary stimulus, but Congress hasn’t been able to agree on that. “I think everybody is relying too much on these monetary tricks,” Munger said. Buffett said he remains confident in IBM’s future, and his Berkshire Hathaway added to its 8 percent stake in the technology firm earlier this year. “Ten years from now, I think they’ll be earning more money than they are now, and there will be fewer shares outstanding,” he said. Buffett said he thinks IBM will fare well in cloud computing and corporate services because of the level of security it offers with its products. IBM displayed the capabilities of its Watson program at Berkshire’s meeting on Saturday. Buffett said Berkshire’s Geico insurance unit has been experimenting with the Watson service as a training aid and possibly a tool to respond to customer inquiries but it hasn’t rolled that out. Over the weekend, several shareholders questioned Berkshire’s partnership with the cost-cutting 3G Capital even though Buffett’s company doesn’t usually make big changes after its big acquisitions. Buffett’s Berkshire Hathaway teamed up with the Brazil’s 3G two years ago to buy H.J. Heinz. It helped finance Burger King’s acquisition of Canadian chain Tim Hortons. Now Berkshire and 3G are working together to buy Kraft Foods through Heinz. Buffett said 3G invests in inefficient companies and works quickly to make them efficient. “Those companies needed management that would make changes. Those companies were spending money they didn’t need to spend,” he said. Buffett said big food companies will respond to people’s desire for healthier food, but he predicted demand will remain strong for their traditional products. “I’m 84, and literally one-quarter of all the calories I’ve consumed in the last 30 years have been Coca-Cola. And I don’t see how anybody could feel any better than I felt,” said Buffett, whose company is the biggest shareholder in Coca-Cola. Buffett said big food companies will develop products for changing tastes and local markets. He says don’t bother inviting him for dinner if you plan to serve broccoli and Brussels sprouts.